Currently, India is the fastest growing economy in the world with a market of more than 1.25 billion people. It has embarked on a process of economic reform and progressive integration with the global economy that aims to put it on a path of rapid and sustained growth. 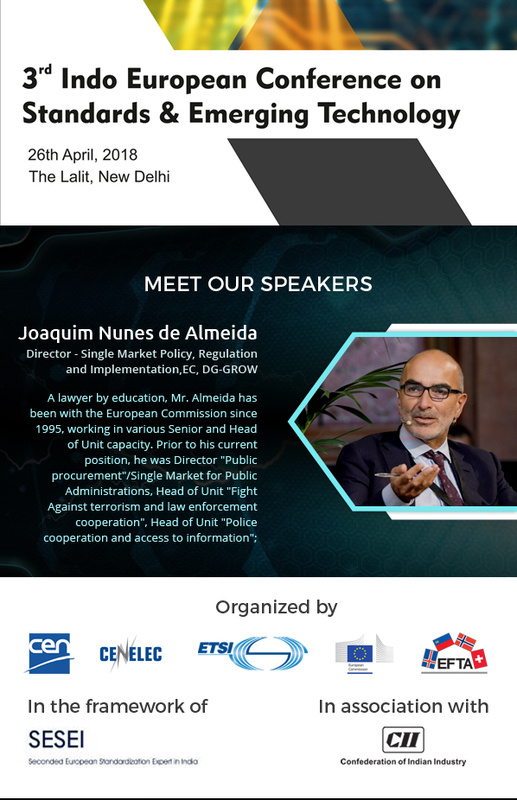 Since the early 1960s, India and Europe both are strategic partners, with India being amongst the first countries to establish diplomatic relations with the European Economic Community. The EU as a block of 28 countries is India’s one of the largest (3rd) regional trading partner while India was the EU’s 9th largest trading partner in 2016. India’s overall bilateral trade with European Union for the period of 2016-17 was more than 89 US$ billion comprising of India’s exports to EU is 47.20 US$ billion (17.10% of India’s exports) and imports 42.36 US$ billion (11.02% of India’s imports). 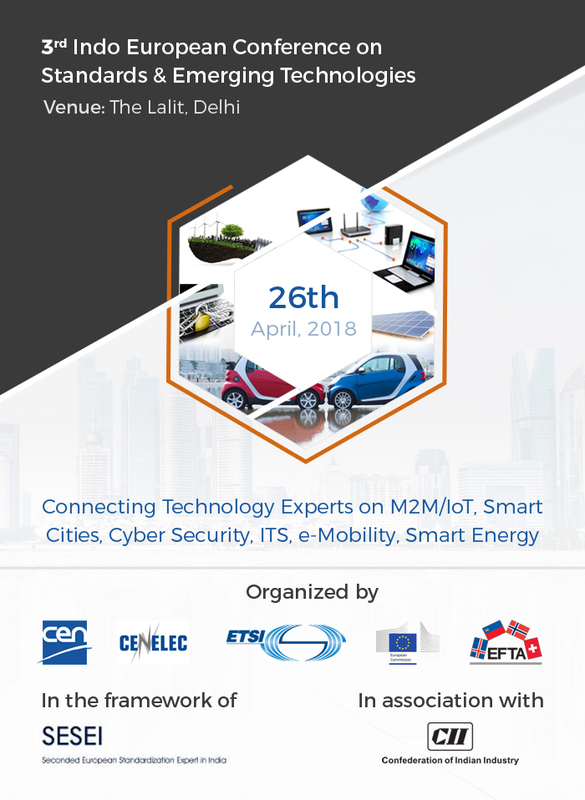 'Internet of Things' (IoT), or prosaically 'Machine to Machine' (M2M) communication, is well underway — after all, microprocessors are to be found in all manner of 'things': domestic white goods, cars, credit cards, your passport, your family pet, the CCTV camera in home or office or street, the elevator in your office and many more. Add the magic ingredient of internet connectivity (or the ability to be read by an internet-connected device), bake with applications and services that make use of the data gathered by this vastly expanded network, and you've cooked up another technology revolution. SESEI, Seconded European Standardization Expert for India, is going to add a new milestone in this chain of 'connected things' by organizing 3rd Indo - European Conference on Standards and Emerging Technology (IoT & M2M Ecosystem), on 26th April 2018, in New Delhi, India. Technologies changing very fast and entire world is trying to follow the latest trends. However, each country or geography may need customised solutions while adhering to core DNA of the technology. 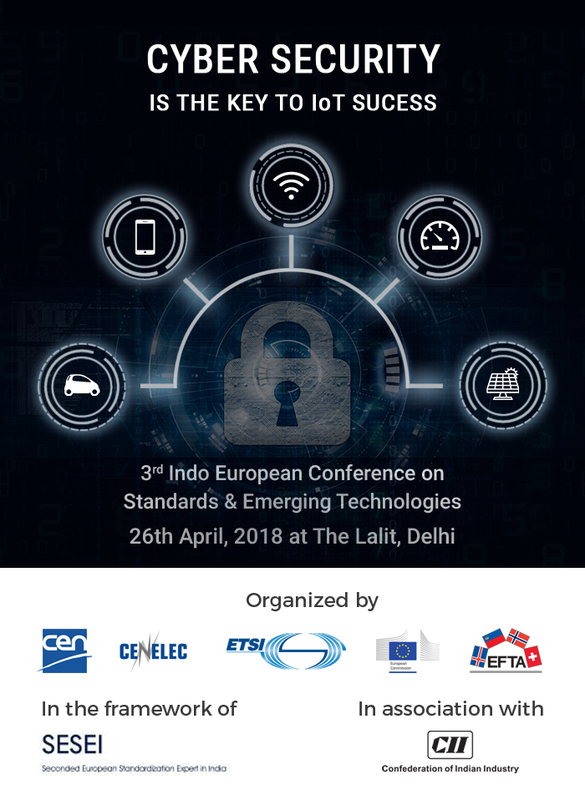 In this direction, European Standard Organisations ( CEN, CENELEC, ETSI) along with European Commission (EC) and European Free Trade Association (EFTA) in the framework of its Project SESEI (Seconded European Standardization Expert in India) and in association with Confederation of Indian Industry (CII) is organising a Conference on "Indo-European Conference on Standards & Emerging Technology"
Electric Vehicles or eMobility is the focus of most of the governments in the world. India has also targetted to have Electrical Vehicles by 2030. With growing demand, it will also need standards to manage its Charging Stations, Battery Swapping protocols, Induction Motors, battery standards etc. 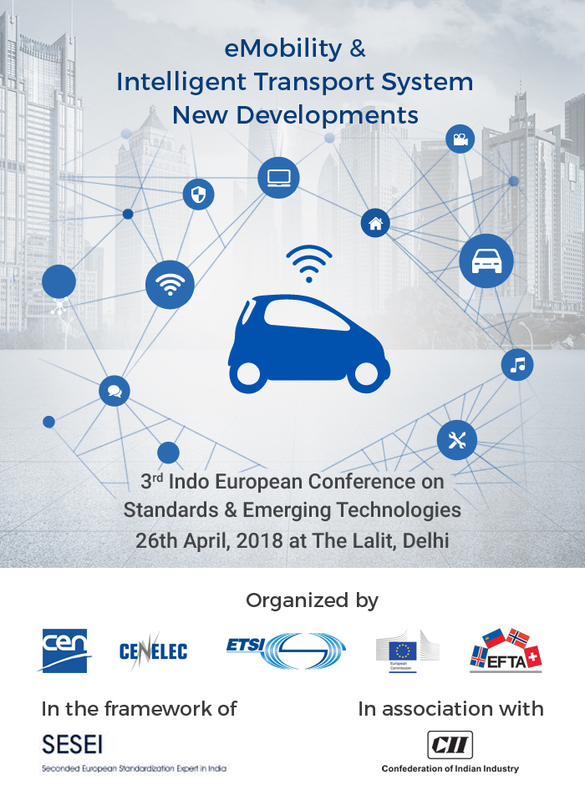 Join "3rd Indo- European Conference on Standards & Emerging Technology"
26th April 2018 at Hotel, The Lalit New Delhi to get latest updates in the area of Electric Vehicles.